Obituary – Cockrum, Barren Charles “B.C. 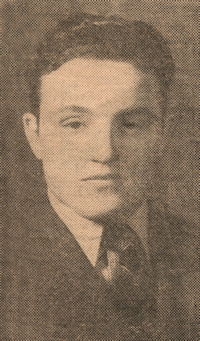 “ « Perry High School Alumni Association, Inc.
﻿- son of Mr. and Mrs. C. F. Cockrum cf Perry, was born in Perry on March 6, 1916. He attended the elementary grades in Central, Watkins and Lone Star and attended high school in Garber and Perry. During his high school career he was on the football team and wrestling team. Following graduation he expects to attend college. ﻿Barren C. “Brick” Cockrum, 83, formerly of Perry, died at approximately 11 a.m. Wednesday, Aug. 18, 1999, at his home on rural Stroud. Funeral will be at 10 a.m. Saturday, Aug. 21, 1999 at the Methodist Church in Stroud. Rev. Kathy Leightner and Rev. Barl Mackey will co-officiate. Burial will be in the Stroud Cemetery under the direction of Parks Brothers Funeral Home. 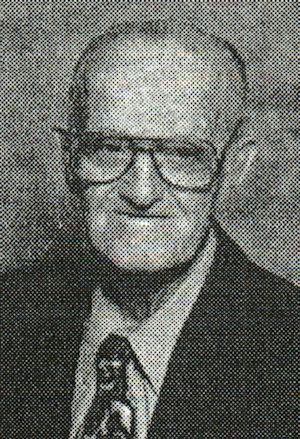 Cockrum was born March 6, 1916 in Perry, the son of Charles and Mary Tontz Cockrurn. He graduated from Perry High Schgol. He and Juanita Sybil Jones were married May 13, 1938 in Stillwater. He was employed at Sun Oil Company as an oil and gas producer until his retirement and was a farmer/rancher. He was a member of the Stroud Methodist Church and has been a member of the Masonic Lodge 142 for 55 years. A memorial has been established to benefit the Methodist Church of Stroud. Survivors include three sons, Raymond Charles and his wife Jean, Guthrie; Duane Gary and his wife Jane, Yukon; and Jeffrey Lynn and his wife Susan, Stroud; one daughter, Patricia Ann Niccum and her husband Frank, Stroud; five brothers, Lorren and Alvin, both of Perry; Milt, Georgetown, TX, George, Del City, OK, and Jim, Altoona, KS; four sisters, Lenora Price, Ponca City, Marietta Moran, Broken Arrow, Maxine Pryor, Stratford, and Gracie McKee, Lucien; 10 grandchildren and10 great grandchildren. He was preceded in death by his parents; one brother, one sister and one grandchild.